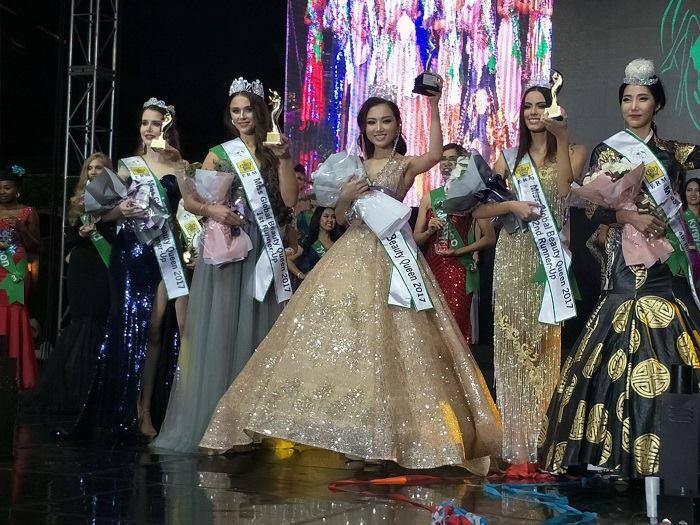 For the second consecutive year it was Vietnam who bagged the big prize, crown and sash of Miss Global Beauty Queen, in South Korea. Hoang Thu Thao was all smiles holding a trophy after winning the 2017 Miss Global Beauty contest held in Seoul, Thursday. France placed 2nd, Brazil was 3rd, Australia came next in 4th place, and South Korea took the 5th prize. Women from over 40 countries participated in the 29th “Miss Global Beauty Queen,” with the theme of promoting the 2018 PyeongChang Winter Olympics and peace on the Korean Peninsula.